Real estate investing is popular throughout the world, but some countries are experiencing more growth than others. As prices all over the world peak at staggering rates, it’s essential to understand which markets give offer the most stable and substantial profits. The latest analysis indicates that Germany leads the international real estate market, though several other countries are remaining competitive in the market as well. In looking at the global housing market, Berlin earned the coveted number one position on a list of 150 top growing cities. Overall, the housing market has slowed in many countries, but, for Berlin, there has been a rate of 20.5% price growth. Real estate analysts suggest this growth is due to a population boom and low unemployment, as well as greater interest from foreign investors. Three other cities in Germany also made the list: Hamburg with 14.1% price growth, Munich with a 13.8% increase, and Frankfurt for its 13.4% growth percentage. This small country also ranked high on the list, coming in at the number three spot. Last year, Ireland made the list for experiencing 7.3% growth, but the country has even beaten its own record this year with an 11.92% growth factor. This remains consistent with a trend that has been affecting Ireland’s housing market over the past few years. In 2013, their market showed a 6.32% growth rate, followed by 18.26% in 2014, 7.04% in 2015, and an 8.98% price growth rate in 2016. Also showing record growth, Iceland saw their largest increase since 2005 with a 12.88% price growth for last year. Experts attribute the impressive increase to greater than average levels of tourism, as well as to a limited availability of real estate in the country. During the last quarter, there seemed to be a lull in the market growth for Iceland, as their price growth fell by a 1.11% rate. Hong Kong led the Asian real estate market and showed their largest growth rate yet with a 12.81% increase in housing prices. While this is the largest increase, Hong Kong has been experiencing regular growth, since 2013. In that year, they exhibited 3.3% growth, which was the lowest rate in recent years. Subsequently, the country showed 6.61% growth in 2016, 0.11% in 2015, and a growth rate of 8.22% in 2014. As the internet opens us up to a global marketplace, real estate markets will continue to attract international investors. With that will come a change to real estate markets and how they grow. It remains to be seen how the markets will change in coming years and if Germany has the capacity to continue to dominate the international housing market. In the interim though, investors need to stay diligent. 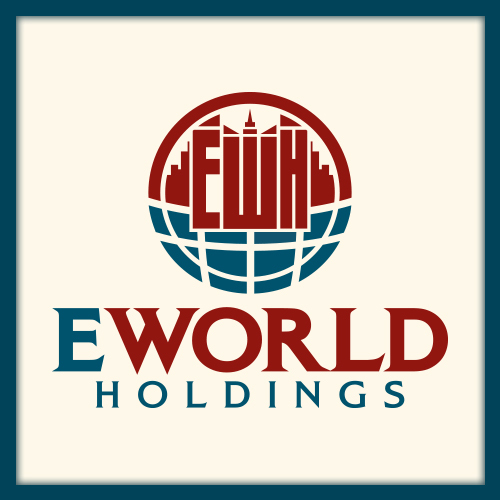 About E World Holdings: E World Holdings stands as a premier international investment firm, predominantly focused on real estate development. Starting in multifamily, single family and commercial properties in Malaysia and finding great success, the father-son duo behind E World, Troy and Shiva Narayan expanded. E World Holdings currently manages a host of ventures that span the globe, with a large focus dedicated to the Malaysian, Venezuelan and Dubai real estate markets.